My Cluttered Corner: Mega Monday! It's Monday which means the new ScrapTiffany challenge is posted, but before I get to that I wanted to thank everyone for stopping by this weekend for the ScrapTiffany Recycled blog hop. Thanks for taking the time to look through all the designers posts on the hop and for leaving such sweet comments here. 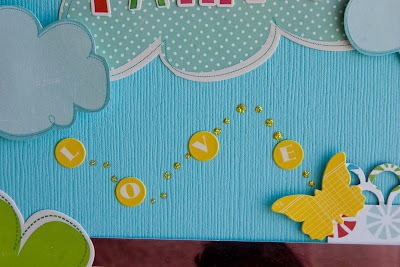 And without further ado, I want to announce the winner of my blog hop giveaway. I used Random Integer Generator to pick a number for us and it chose lucky number 14! 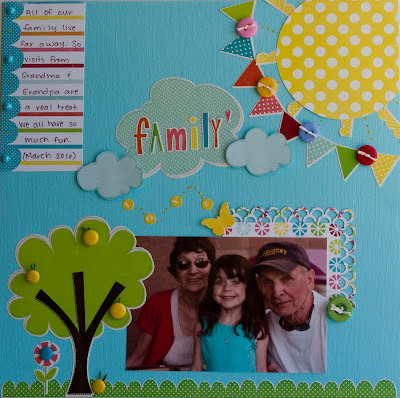 Ok, back to our regularly scheduled programming...the ScrapTiffany challenge this week is to focus on family. All of our extended family lives far away, so the time we spend with them is extremely valuable to us. I made this LO about a visit we recently had from Grandma and Grandpa. I used the new company Echo Park's Summertime collection for this one. 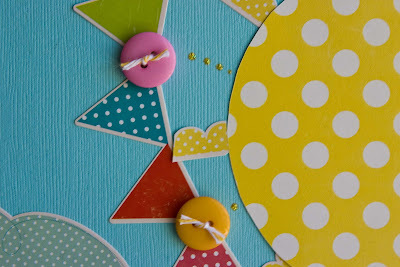 The bright colors and super cute designs are right up my alley. 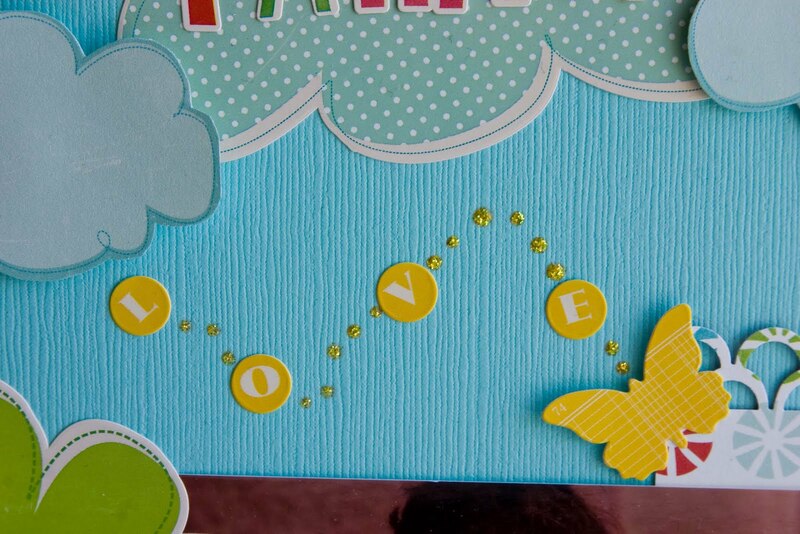 The buttons are Basic Grey and the little yellow butterfly sticker below with the love letters are Jenni Bowlin. As always, the DT created lots of wonderful layouts so go on over to ScrapTiffany to see everyone's take on this challenge. And if you participate, be sure to email your take to Tiffany by Friday. No way! I never win anything. Thank you!!! Love this fun, summery layout. The new papers are just fabulous! What a bright fun sunny layout!!! I love the sun and the banner and everything. GREAT layout Rebecca! This is so perfectly summer! Awesome LO! I wish I had a fingertip of your talent with scrapping!